A pet is canvas' best friend! We love pets, and we know the awesome pictures and memories that come with having one in your family. Give as a gift, hang near your pet supplies, or spotlight them in your favorite parts of the home. 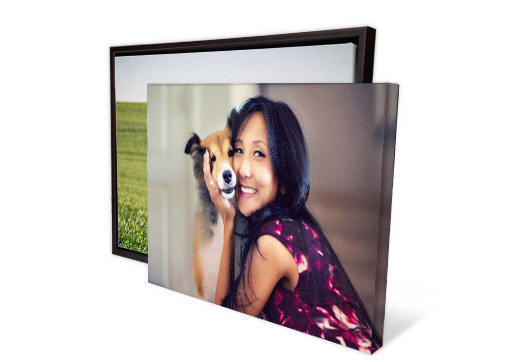 However you choose to print your pet photos on canvas, we know you'll love it forever. Join thousands of happy, pet loving customers in printing your photos on canvas with Easy Canvas Prints! They'll love you for it. No one can make us smile quite like our pets do, so give your best furry friend a permanent place on your wall with one of our gallery-quality canvas print. They would do it for you!